It is widely accepted that antioxidants in the diet and supplements are one of the most effective ways of preventing cancer. Nevertheless, Dr. James Watson has recently suggested that antioxidants cause cancer and interfere with its treatment. James Watson is among the most renowned of living scientists. His work, together with that of others (Rosalind Franklin, Raymond Gosling, Frances Crick, and Maurice Wilkins) led to the discovery of the DNA double helix in 1953. Although his recent statement on antioxidants is misleading, the mainstream media has picked it up, which may cause some confusion. Dr. Watson claims to have discovered that antioxidants promote the growth of late stage metastatic cancers. He says that this is “among my most important work since the double helix.”  We agree that the finding is fundamentally important, although it was not uniquely Watson’s discovery. Rather, it is standard orthomolecular medicine and has been known for years. [2,3] Within the body, antioxidant levels act as a signal, controlling cell division. In healthy cells and benign tumors, oxidants tend to increase cell proliferation, whereas antioxidants inhibit it. By contrast, the malignant tumor environment can be so strongly oxidizing that it is damaging and triggers cell death by apoptosis. In this case, antioxidants may help tumor cells proliferate and survive, by protecting the cells against oxidation and stimulating the malignancy to grow. For this reason, antioxidants may sometimes be contraindicated for use with malignant tumors, although there are particular exceptions to this. The balance between oxidants and antioxidants is a key issue in the development of cancer, as has been known for decades. Watson appears to be behind the times in his appreciation of nutritional medicine and, surprisingly, to have misunderstood the processes of oxidation and reduction as applied to cancer. He correctly asserts that reactive oxygen species are a positive force for life; this is basic biology. They are also involved in aging, chronic illness, and cancer. Oxidants also cause free radical damage, thus the body generates large amounts of antioxidants to prevent harm and maintain health. Back in the 1950s Dr. Reginald Holman treated the implanted tumors of experimental rats, by adding a dilute solution of hydrogen peroxide to their drinking water. Hydrogen peroxide, an oxidant, delivers a primary redox (reduction/oxidation) signal in the body. The treatment cured more than half the rats (50-60%) within a period of two weeks to two months, with complete disappearance of the tumors. Holman also reported four human case studies, concerning people with advanced inoperable cancer. Two patients showed marked clinical improvement and tumor shrinkage. (Please note: we are not suggesting that people should consume hydrogen peroxide.) He published his findings in Nature, one of the most prestigious scientific periodicals of the day and, of course, the same journal that had presented Crick and Watson’s double helix papers, just four year earlier. Orthomolecular medicine has advanced since those days; we now have safer and more effective techniques with which to attack cancer. Intravenous vitamin C is a good example. Nevertheless, both modern orthomolecular and conventional treatments often rely indirectly on increasing hydrogen peroxide levels, and thus deliberately causing free radical damage within the tumor. Watson correctly identifies oxidation and free radical damage as primary mechanisms through which radiation and chemotherapeutic drugs slow cancer growth. He also states that cancer cell adaptation to oxidation is the method by which it becomes resistant to such treatment, although once again, this has been standard in cancer biology for decades. We agree with some of Watson’s assertions: that cancer research is overregulated; that a primary aim should be to cure late stage cancers; and that a cure for cancer could be achievable, given 5-10 years of properly targeted research. However, we think he should become more familiar with progress in orthomolecular medicine, which is currently leading the way. Cancer develops when cells multiply in the presence of oxidation and other damage. According to micro-evolutionary models, cells become damaged and change their behavior, growing uncontrollably, and act like the single-celled organisms from which they originally evolved. The cancer cells’ individualism overwhelms the cooperative control processes that are essential to a complex multicellular organism. Importantly, antioxidants limit oxidative damage and thus inhibit early benign cancer growth, preventing cancer from developing. Certain “antioxidant” substances, such as vitamin C, are able to exploit the differences between cancer and healthy cells; they kill cancer cells while helping healthy cells. Such substances have the ability to act either as antioxidants or as pro-oxidants, depending on their environment. In tumors, they act as pro-oxidants, producing hydrogen peroxide that attacks the cancer; whereas, in healthy cells they act as protective anti-oxidants. 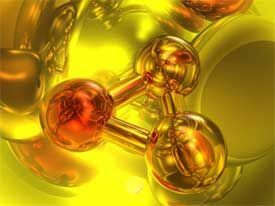 Selective anticancer agents of the kind Dr. Watson advocates are already known to exist: they include vitamin C, vitamin D, vitamin K, alpha-lipoic acid, selenium, and others. A research agenda to investigate the synergistic operation of such substances in cancer treatment is required urgently. It is time for conventional medicine to come to terms with their failure in cancer research and embrace selective orthomolecular methods. The public should stick with nutritional therapies while we wait, perhaps for some time, for medicine to focus on patients rather than profits. Don’t be warned off the very substances that can most help you. 1. Watson J. (2013) Nobel laureate James Watson claims antioxidants in late-stage cancers can promote cancer progression, The Royal Society, latest news, 09 January, http://royalsociety.org/news/2013/watson-antioxidants-cancer. 2. Hickey S. Roberts H. (2005) Cancer: Nutrition and Survival, Lulu Press. 3. Hickey S. Roberts H.J. (2007) Selfish cells: cancer as microevolution, 137-146. 4. Holman R.A. (1957) A method of destroying a malignant rat tumour in vivo, Nature, 4568, 1033. 6. Lettice E. (2010) James Watson: ‘cancer research is over regulated’ The Guardian, Friday 10 September,http://www.guardian.co.uk/science/2010/sep/10/james-watson-cancer-research. 7. Gonzalez M.J. Miranda Massari J.R. Duconge J. Riordan N.H. Ichim T. Quintero-Del-Rio A.I. Ortiz N. (2012) The bio-energetic theory of carcinogenesis, Med Hypotheses, 79(4), 433-439. 8. Warburg O. (1956) On the origin of cancer cells, Science, 123(3191), 309-314. 10. Watson J. (2013) Oxidants, antioxidants and the current incurability of metastatic cancers, Open Biology, January 8, doi: 10.1098/rsob.120144. This entry was posted in Uncategorized and tagged health, orthomolecular medicine, science by tiptonchiro. Bookmark the permalink.